Indiana Jones and The Temple of Doom | Cappa Toons! I think what Joss is onto is the problems with storytelling in movies and sequels today. It’s the fact that so many movies do not end when it comes to their stories. The thing about movies and franchises now is that they aren’t about good storytelling, they’re about driving the films forward and keep people coming back for more. This isn’t television, and there’s a lack of respect for the medium of motion pictures as a result. Television is more conducive to long term storytelling, because like the serials of the 1940’s, you can come back in only a week to get more of the story until it reaches its conclusion. With movies, there is something wrong with having to wait 3 years or more for a story to continue or even end. When you have a story and something to say, it’s about getting the message out to your audience, and it seems ponderous and almost silly to have to make them wait a year before the new chapter is released. A movie needs to stand on its own and it needs to end. That’s not to say that a movie like THE EMPIRE STRIKES BACK is a bad film, it isn’t at all. I wasn’t alive in 1980, but when that film came out, I imagine there were plenty of people who were probably pissed off they had to wait 3 years for the conclusion, RETURN OF THE JEDI, which for all the anticipation wasn’t anywhere near as good as EMPIRE. Star Wars in itself was based on the 1940’s movie serials where people would come back each week to find out what happened to the characters. But again, people only had to wait a week. It’s not simply a matter of nostalgia or entertainment value that counts. What matters most is the story and knowing when an artist has a vision or a message that is important to them. If it’s a movie they’re making, there comes a point where the artist needs to say what needs to be said and move on. Whedon talks about the need for movies having closure primarily because he and his family come from a television background. Television opens up the opportunity for better long term storytelling. We need more movies that can stand on their own and get their message across to audiences, even if it happens to be a sequel, it’s better sometimes if people who are unfamiler with the original aren’t completely abandoned because of the sake of continuity. 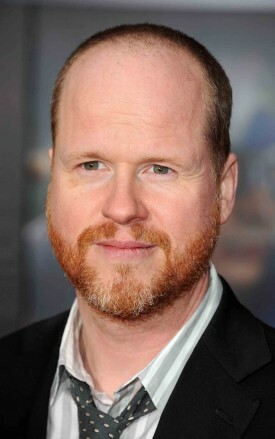 Joss Whedon: Fan service can be a nice thing in movies that feature characters who people genuinely love. But fan service like the gun scene in Temple of Doom — and those like it — just make everyone involved feel stupid. I enjoyed Star Trek Into Darkness, but the worst part of the movie was the almost complete recreation of the Kirk-Spock death scene from Star Trek II: The Wrath of Khan. It’s not so much that J.J. Abrams, Roberto Orci, Alex Kurtzman and Damon Lindelof did recreate that scene, it’s that they did so in an effort to make people watching say, “Oh, I get it.” Great! I mean, of course you “get it.” How could you not get it? Everyone gets it. That’s the problem. The best kind of fan service is when very few people get it. Being beat over the head with a reference to a prior movie isn’t fun for anyone. Fan Service as well means giving power over to something else, winding up taking away the energy of the film your trying to make. The idea of playing onto the audiences nostalgia, through self referential material or, say, parody, makes it difficult to create a unique and original experience for the audience. It’s as Joss says. We “get it”, but it serves no greater purpose except as an easy way to play on audience satisfaction. We lose something as a result. I have to say when it comes to fan service and parody, I found those things to be tempting to put into my own work. But it makes it hard because many times parody can be an easy out for poor writing. Continuity is a tricky thing when it comes to movies and in essence it’s much harder to pull off. The problem with trying to establish a movie franchise or a series of continuing sequels is that story lines tend to wander, and often times the character may lose sight of the thing they were after in the first place. It’s why its important for a story to hold its own and conclude. People shouldn’t have to wait so long to get the message, and at the very least if you’re going to make them wait and invest so much time in it, there had definitely better be a reason or a good payoff by the end.